That would be Nancy Bevins "Motley Mutton" creations. 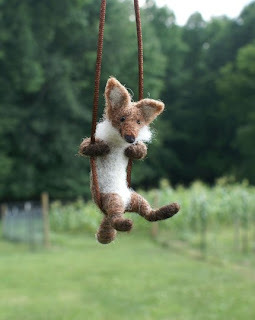 We stumbled across Nancy's felted farm friends when we were perusing Etsy and were just *smitten* with her creative usage of wool and felt. It isn't that often that you come across a piece of jewelry that just makes you gasp a little (and not in that "Tiffany blue box" way that makes anyone a bit lightheaded) but in the way that you simply cannot comprehend how someone could be so creative -- or nuts! Hey, they're usually intertwined and go hand in hand, and we love it! Go check out her website, and let us know what you think! 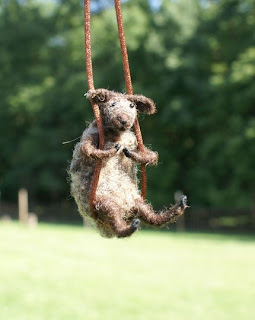 Even if you would prefer not to wear such a critter around your neck, you can't help but appreciate her originality! Nothing like laying on the beach with a good book in hand...warm sun on your face and a breeze coming off the water. Enough about the beach...has anyone seen the new Harry Potter movie?! You should go this weekend if you haven't already. We thoroughly enjoyed it! The movie stuck to the story pretty well and only left out a few of the smaller things. Can you believe that the last book is going to be divided into two movies?! Go get some cheese, crackers, wine/beer, have a good snack and let us know what you got to enjoy. Anyone heard about this? We heard about it this weekend down at the Atlanta Gift Show and thought it sounded like an awesome idea. Being in the "single shop" retail world we know how hard it's been for smaller stores recently. We urge you to learn a little more about this project and try it out if you can. "Pick 3. Spend 50. Save your local economy." We love rooting through other people's old stuff!! So, going to the Kudzu Antique Market is a perfect hour of amusement for us. If you haven't been you should definitely check it out. It's totally worth it. It's got everything you could imagine and everything you couldn't imagine. We took a quick spin through the other day and here is what we picked up. A set of four small drinking glasses with "Souvenir de la Fete" engraved on them for J Squirrel. $7 for 4 = good deal. Great for a refreshing summer cocktail. J Fox brought home a lovely mermaid statue. I think it was about $20, so a little pricey, but she's been looking for a mermaid statue for so long that I wasn't going to let her leave without it. She LOVES mermaids...almost as much as she loves Tim Riggins. We brought the mermaid to the store to do a little photo shoot with some of the merchandise...it was just too fitting not too. Oh...and the best find of the day, which I don't have a picture for, was a pair of Sevens Jeans for $4 dollars!!! What a deal!! That's why we love antique markets...you never know what you're going to go home with. ... and I don't even like football. 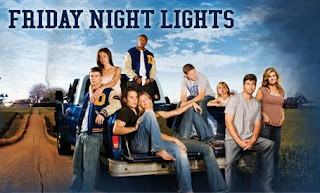 We here at Squirrel & Fox love us some 'Friday Night Lights' drama and have found it so addicting and habit-forming that we will likely need some OCD meds pretty soon to control ourselves. We love this NBC show for its fabulous cast, its "real-life-ness", its drama, humor, romance, and the nostalgia it conjures of our own memories of highschool. 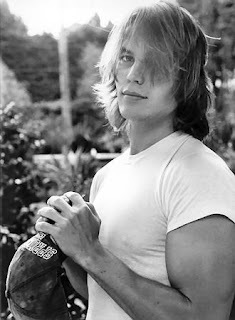 Oh, and not to mention #33 TIM RIGGINS... Um, Abercrombie & Fitch called, and they want their coverboy back! Good grief! Expanding on the hit feature film and best selling book "Friday Night Lights," this poignant series centers on the small rural town of Dillon, Texas, where the coveted state football championship rings are held in the highest regard. We encourage you to check FNL out... and we promise that you will be at the least entertained, if not addicted, after a few episodes. So get your fabrics and metals and beads and papers and paints out... (and perhaps a few Kleenex) and Netflix an episode or two to watch whilst you craft away, and let us know what you think! New fabric from Hobby Lobby. Old, maybe even vintage, fabric from my mom's stash. We had a great production line going with one person cutting fabric, one person ironing and the one person sewing. My sister ironing down the edges of the key fobs. After about three hours of crafting fun we ended up with 17 different key fobs. They are so cute and they were soooo easy to make! The metal keychain rings we got from Michael's and the metal fob we found on a website that specializes in webbing and hardware. Don't you love how much you can find through a google search?! Let me know if you would like to know how we made the key fobs. I can try to put together a tutorial or at least write out directions. I wanted to do a little something different for our girl's night "out" this week. Instead of the usual red or white wine I wanted something light, cool, and refreshing since it's been so darn hot here in Georgia! I found some fun recipes to try out from my July copy of Real Simple. (Love my Real Simple subscription, thanks boyfriend!) Below you will find the drinks I made and how I did it. Try it out the next time you have guests over and let me know how it goes! I'm not sure how I feel about this drink. I couldn't really taste the thyme or the plum. :( Next time I would probably add the thyme and the plum in while the tea was still warm to see if the flavors came out with the heat. Either way it was fun to try something new and the cool drinks were certainly refreshing for a warm night in Georgia.